News is coming in regarding an alleged Israeli air strike on the port city of Latakia, Syria. This is a major development, as Latakia is the main base for Russian troops and activity in Syria. 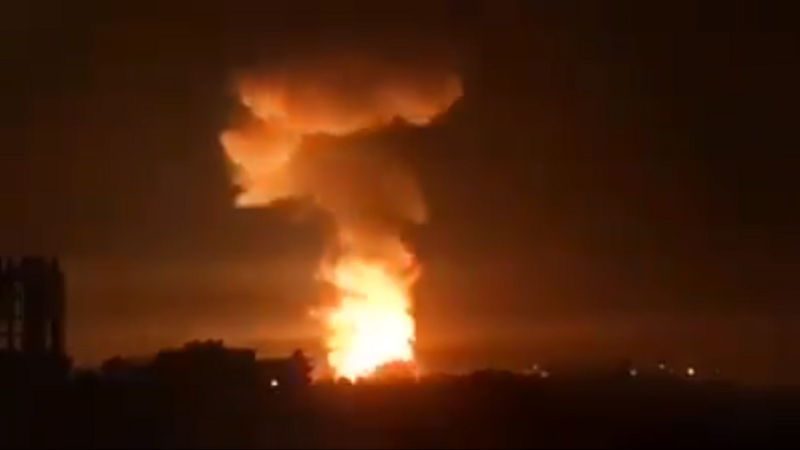 Typically, when Israel strikes bases inside Syria, they are Iranian bases, and Russia is notified prior to the strike. In this case, it is doubtful Russia was notified, and some are reporting Russian S-400 missile defense systems failed to identify Israeli aircraft. It is suspected that chemical weapons, likely staged for an attack on Idlib (the last rebel stronghold in Syria) were targeted by the Israelis. Also of note, unusual movement of NATO ships in the Caribbean has been noted. News as we have it currently is far from complete, and much is yet to be fully verified, though what I have included here has been verified by muliple sources. Stay tuned for more details. My point is not to stir up sensationalism, but to ask you to pray for God’s wisdom for Israeli, US and NATO leaders. Pray, also, for warring angels to render evil schemes powerless. Pray for the safety of soldiers and civilians. Most of all, pray for the Prince of Peace…Jesus Christ Himself…to be made known to Jews, Arabs, Persians, Russians, Syrians and everyone else in the region. Our world needs a Savior and He is waiting to be discovered. Amir’s Bible Bites: God Declares His Plans so Don’t get Caught up in Hype!